I can't believe we've been back in the USA for a year. A whole yeaR! It's been a wild and strange ride and even though we're from the USA - Florida is a whole different bird than the Midwest. It's like the flamingo compared to the robin. Night and day. I love the weather (really, I do) and there are fewer mosquitos than I ever imagined here. I even like our little community... but everything here seems forced and nobody is happy. The daily grind is too much and everyone suffers. Maybe we'd feel differently if we lived either in the city OR in a proper little single-family neighborhood (wait, did I just say that?!?!) but we're halfway between Miami and Ft Lauderdale in a sort of suburban twilight zone. This is not what we signed up for when we moved here, full of hope and great expectations a year ago. It's been a learning experience for sure. BUT to be honest, this time in the USA has helped us in many ways, too. Brad and the girls have acquired Italian citizenship through his paternal grandfather's line. I was able to claim Dutch citizenship through my mother. With this and #1, that means the whole family now has EU passports! We had amazing visits from our parents. It was a wonderful time to have the kids spend so much time with their grandparents and many memories were made. We were able to get all of our worldly possessions out of my father-in law's basement after 7 years and we're doing some major purging of stuff now. We realized that this place is not for us long term. Meaning the USA. Meaning now. This was a big realization because while we were in South America, we (I) had this idea that I wanted to be back in the USA, at least for a time and I was all for this move. But we're finding many things that we don't love here, and the good doesn't outweigh the bad for us: The lockdown drills at our children's elementary school, practicing for the event of an active shooter. The rat race. The commuter (and consumer) society. The lack of a social network. What we disliked 10 years ago about life in the USA, we still dislike. Our lives are certainly richer from being here and experiencing life in the USA again and I'm glad we came here, if only for a year. We are a family that extremely thankful for our options, though! Since we have these newly acquired EU passports burning a hole in our pockets and a 20-year-long dream (since our first vacation together to Spain in 1997) to live there someday, that dream is finally happening. We visited Valencia, Spain in April 2017 as a family vacation and we're now in the throngs of preparing to move there. We'll be out of our apartment by the middle of June, then after a bit of travel, we'll arrive in Valencia, Spain the second week in July. Then it starts all over again: Looking for an apartment, furnishings, schools, bank account, residency, utilities, friends, health insurance, doctors and medications -- not necessarily in that order! Plus, this is the first time we're moving with a proper shipping container, albeit a small one. That's an adventure unto itself. Our two dogs were the most stressful part of the move to Uruguay back in 2009. I think the shipping container will be the most stressful part here! 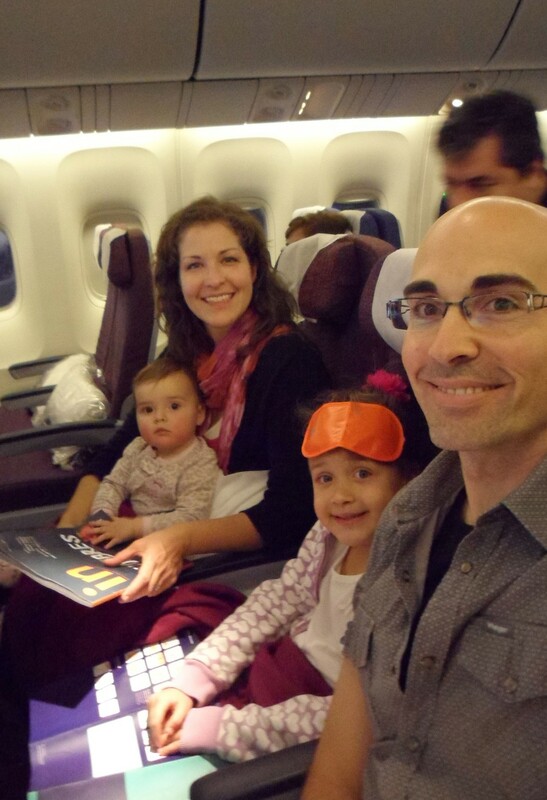 To learn more about us and our family's international adventures over the past 8 years, click the "About" button on the top right side of this page. To stay in touch, sign up for our newsletter. We promise to keep your email address safe and not use it for anything other than Healthy Family Abroad updates, promotions and news. Thanks! Why Do I Want To Live the Freedom Lifestyle? TOday's exercise is to evaluate freedom and choice. Why do I yearn for freedom and what does it mean to me? Yesterday I wrote about why we need to find our focus-- with the conclusion that maybe we're exactly where we need to be, and although it's tough, it gives us a chance to focus and reevaluate our goals. This is not referring to the BIG basic freedoms, such as speech, press, religion and assembly. There are plenty of people living in this world that yearn for those freedoms which we take for granted every day. I have the luxury of choice; to choose and design a lifestyle that I want, that makes my heart and soul sing. I don't take this luxury lightly, because the majority of the world has never experienced this freedom and never will. Why do we miss the freedom that we used to have in Argentina and how can we get that back? How can we design our lifestyle here in the USA, and how does the quest for freedom affect our future goals? I must digress to a story from 21 years ago. I was 19 and traveling to Europe with my University Design Program. This was not my first trip to Europe, it was my third and I remember telling my Mom that I will live in Europe some day. It was so foreign, yet comfortable to me. So interesting in the cultures, people, clothing, languages. My Mom's family immigrated to the USA from the Netherlands in 1955 and being a first generation American with a love of travel, I knew she would understand the draw that I had to Europe. Fast forward to early 2008, when I had many more incredible international trips under my belt, a husband, newborn baby and a design business that was faltering due to contractors owing us lots of money. We placed liens on houses and fraudulent contractors refused to pay us for services rendered. We decided, as a couple, to take a great leap that we had discussed a million times before: life abroad. Our life in MN was stifling and was the exact opposite of freedom. We were slaves to the independent businesses that we created. The exact thing that was supposed to create freedom, took it away from us. If I were to do it differently now, I surely would, but live and learn. We loved the freedom we experienced in South America. We could live locally, without a car, walking or taking public transportation. We could take off on a weekend trip when we wanted, everything was new and different and exciting. Yes, there were challenges, but it was expected. We moved around, first landing in Montevideo, Uruguay, then Bariloche in northern Patagonia, then Córdoba, Argentina. We worked online part time and it payed the bills, since cost of living is much less than what we were accustomed to in the USA. We moved back to the USA because of a job offer and decided to try it on for size after 7 years abroad. This has been a very telling experience. Yes, the grass IS always greener on the other side of the fence. You always want what you haven't got (at least we haven't got it YET), but now we're dreaming of Europe: of Italy or Spain. We're dreaming of a little house with a clay tiled roof; a sunny garden filled with citrus, avocado and olive trees; a warm breeze coming from the mediterranean and ruffling the white gauze curtains. We dream of fresh seafood and produce, an walking to the market to buy that day's groceries. We dream of slowing down and connecting with the land of our ancestors... of living life at our own pace and by our own rules. We dream of the ultimate freedom to do what we want when we want, and not be a slave to the mortgage, to a full time job, or to the commute. We want the pace of the lifestyle we had in Argentina, along with the food and culture of Southern Europe. That's what freedom looks like to me. Everything we are doing now, all of my writing and studying, all of Mr Healthy Family's building connections and experience, is building a program to be able to live independently, outsource the majority of our work responsibilities and live more than ever, within my (our) dreams. This blog post is in response to Natalie’s 10 Day Freedom Plan Blog Challenge Day 2. This is Day 1 of Natalie Sisson's Blog Challenge. After moving from Argentina in April of this year, we've been busy getting settled, sorting through boxes (many that we haven't seen in the last 7 years), starting school and work, and finding our groove in a new city and new country. There've been more challenges than we expected, but there always is. We've moved often enough to realize that we're overly optimistic. The reality is, it's hard. 1.) Life in the USA requires A LOT more money than that in Uruguay (which was still very expensive for South America) and Argentina. Yes salaries are higher here in the USA than in South America, but everything else is exponentially more expensive. Healthcare, food, housing, utilities, services are all incredibly expensive in the USA. 2.) Time and flexibility: Here we have more commitments, more time spent commuting to work, PTA, Girl Scouts, more meetings at school, more time going to the big box stores instead of the neighborhood shops, more time seemingly wasted, pulling us from other commitments such as family and work. Since we're not both self-employed and working from home anymore, the incredible flexibility that we experienced in Argentina is also gone. We can't just walk down the street to pick up some eggs or milk, or have every meal together as a family. Everything has to be scheduled, planned because of time, proximity and ultimately, lack of convenience. 3.) The time that IS free, is spent with family, trying to actively avoid technology to show the girls our true priorities: Them. Us. How can we spend this precious little time that we have together by working? We fell into that trap when we first arrived in South America, before our oldest daughter was in preschool. She thought we always worked because that is what she always saw us doing. So, how do we combat this lack of time/flexibility/money and also prioritize family while following out dreams and not ending up destitute on the streets? Right now, it's a struggle to regain our sense of gratitude. We're back in the rat race and that's a hard place to be, especially having worked hard to escape it 7 years ago. I'm writing and building a wellness empire at diaVerge.com and on FB at DiaVerge:The Alternative Path to Diabetes Management. I'm also working to complete the coursework to become an Associate Diabetes Educator. Mr. HealthyFamily is working more than full time, changing both company culture and revenue structure within his new company. He's rocking it, but not feeling very fulfilled. We need to focus on ourselves, our spiritual and emotional development and our wants/dreams for the future. This is currently lost as we're rushing around, being pulled in so many different directions. In the short term, I need to increase my income to improve cash flow and ease the stress of money. Although by working more or shifting my focus, this will increase the stress of already over-scheduled time commitments. Lowering our future costs will also help, as we've spent an incredible amount of money setting up a home again, buying furniture, sending the girls to private summer school, and buying my new medical devices to assist with my Type 1 diabetes. In the long term, we have to reconnect to the sense of abundance and gratitude that has brought us here, focusing both on what we have, and what we can give to others. We are not living in a bubble, and our abundance (even if we don't feel as abundant as we did elsewhere) can serve those less fortunate. I'm happy to be in this place of transition, no matter how difficult. We needed a change to keep life interesting and reaffirm our goals as individuals, as a couple and as a family. I'm reminded of the summer of 2000, when my then-boyfriend and I broke up. We spent some time apart, then both realized that we were right for each other. We realized that life together was much better than apart. We re-committed to each other and have been together since, through two kids, two dogs, several international moves, business start-ups and shut downs. Through adventure and adversity. Our current move is like that long-ago break-up. The foreign-living dream is over (for now) but this time of challenge is proving to us that this old life we had in the USA so many years ago is not a good fit for us. The last thing we want is to stagnate somewhere. Life in the USA is pushing us to rediscover what's across the oceans again. This dissonance is the universe pushing us further. Pushing us to explore. We need to breathe, refocus on our goals of family, independence, flexibility and simplicity. This is one adventure of many and although not entirely comfortable, it keeps reinforcing our goals. And a great big grey-blue humpback whale. And this is a snail with an itchy foot. The sea is deep and the world is wide! How I long to sail said the tiny snail. " We loved our life in Argentina. Our original 1-2 year plan for life in South America stretched out to 7 years. We were starting to get itchy feet and thinking about our next move when an unexpected opportunity came into our lives. We sold/gave away almost everything we had in Argentina and left there in April 2016. Now, we're working on developing our routines and our life in another country. After nearly 3 months away, I can tell you that we really miss Argentina. We miss our lifestyle there, the people, the closeness that we felt with teachers, friends and neighbors. We miss our walkable neighborhood in Córdoba, we miss our shopkeepers at the deli, vegetable market and health food stores. We miss being able to live without a car. We miss the good quality beef and wine and the ritual of Sunday asado. We miss public parks in every neighborhood. Moving is tough. 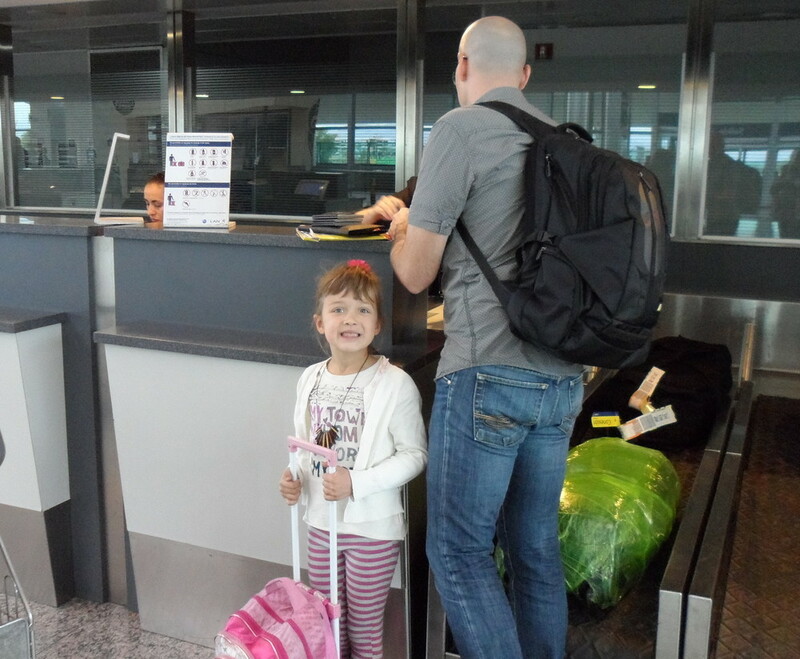 An international move with kids ages 8 and 4 is even tougher. This isn't a decision that we came to lightly. We want a home base. We want to give our girls some stability of being in one spot for several years, but we're really not the stay-in-one-spot-type-of-people. The more we see of the world, the more we want to see; the more we want to experience and discuss and celebrate. We want our children to be citizens of the world. Dear Argentina, we'll be back. It's such a grand country. Even with our 6 week road trip in 2014 and other trips around the country, there is so much to explore. I'm sure that we'll be back to visit, if not to live. Argentina takes up a huge place in our hearts. While we look forward to our coming adventures, it's hard to close the previous one when it was so good. Chau, Argentina. Hasta luego. Nos extraña mucho. I've written about our small house and how we've sorted and downsized our stuff through the years (leaving the USA in 2008, leaving Uruguay in 2010, moving within Córdoba in 2015) with the most recent downsizing thanks to Marie Kondo and her amazing book. we really don't buy stuff. This isn't easy. It's not something that comes naturally. We work on it and struggle with it all the time. We WANT stuff. It's ingrained, taught from and early age. Now we're fighting against it. Every. Day. We recently made our first clothing purchases in over a year. We bought 2 pair of pants & 2 shirts for our 7-year-old (she is 56"/142 cm tall and is going to be a giant like her parents) and two simple tops for me. That's it. Thankfully we have two girls. Everything from daughter #1 gets packed away according to size & season and saved for her younger sister. The girls wear uniforms to school and don't need many other things. As adults who work from home, we don't need work clothes like if we went into an office every day. When we do make purchases, we create lists for what we have versus what we need (I am a little obsessed with spreadsheets), including where we could get that item for the best quality, then watch for sales and strike when we can get a great deal. If possible, we prefer to wait until we're in the USA to make purchases, so sometimes that means delaying purchases for 6-12 months (or purchasing ahead of time, in anticipation). We find the quality is much better and the prices lower in the USA than purchasing in Argentina. We all still have too many clothes, among our too-much-stuff in general. But we're working on that. Yes, there are things that we want, but nothing that we really NEED. That is the difference. We've switched from focusing on needs and wants, to focus on ENOUGH. We have more than enough to make us happy and comfortable. We do not NEED anything more in our lives. With our new, small house, we had to buy a bed for the girls (our previous house was furnished and their bed stayed with the house) but we've not purchased any new furniture. We have two desks, a kitchen table with chairs, a rocking chair and two beds. Thats basically it. In a small house, you don't need (and can't fit) much more. Can we repair or replace items when worn out? I have Birkenstocks (love them or hate them. I think they're amazing) that I purchased in Germany in 1996. Seriously. They have been re-soled 3 or 4 times, with footbeds replaced twice but these things are nearly indestructible and will be with me until I die. They've been well worth the expense nearly 20 years ago. Now the Vibram replacement soles are better than ever and will last even longer between re-soling. Bonus. Quality (and careful consideration) will outlast cheaper alternatives. We will always spend more to buy quality items. They are usually a better design, long-lasting and sustainable/repairable. When our oldest was a baby, we bought an expensive, foreign-made, wooden highchair, the Stokke Tripp Trapp. We were already planning our move abroad, so we purchased with the consideration that this seat is not only beautiful, it packs flat for easy shipping/moving and thanks to adjustments & accessories, the seat can "grow" with the child(ren). We love this chair, our kids fight over it and we anticipate it'll be with us for many years to come, long after a typical high-chair would have been relegated to a yard sale. Can it serve more than one Purpose? Is it Multi-function? Because space is at a premium, both in our home and our luggage, we search for items that can be used in more than one way. One appliance that is the epitome of multi-function is our 14-year-old Braun MultiMix (a wedding present that is, unfortunately, no longer made). It's a standard hand mixer with interchangeable immersion blender attachment and mini food-processor. We practice the concept of "capsule wardrobes" where your closet is built from a certain color or colors, with almost everything being able to mix and match to make different combinations. My capsule consists of 20 main pieces for summer and another 15 for winter, with some overlap (this does not count accessories or athletic gear). It makes packing and travel much easier, too. I specifically buy products that can be re-used, repurposed or recycled. At the grocery store, I'll spend more for a product that comes in a jar that can be re-used for spices or dry goods, rather than a different packaging. (I avoid styrofoam and canned goods whenever possible). Is the Simple Solution Better? Although a huge pot of steaming hot coffee is appealing, it really is mediocre coffee (and our old drip coffeemaker broke. Twice). An old-fashioned percolator, press pot or our trusty AeroPress have few moving parts and less to break. (Okay, I must admit, I've broken a couple of press-pots in my day.) The routine of boiling water over the stove and physically going through the steps to make a cup of coffee is really simple but beautiful. Do we want to move it or sell it when it comes time to leave? We evaluate everything that comes into our life (even more with the small house) by asking ourselves, "Is this worth buying just to sell it or move it (internationally) within the not-so-distant-future?" Very often, that stops us in our recovering-from rampant-consumerism tracks. Since we are not in a "forever" home, city or country, we are okay with not having the perfect "thing" for every corner of the house. It is hard though, because while we're comfortable where we are in life and how we're living, I do want to feel settled somewhere, and that hasn't really happened in the last 7 years. We're not living out of suitcases, but we are keeping our eyes open for the next opportunity. A semi-nomadic lifestyle leads to (and alternatively is caused by) a restless spirit. Itchy feet. The travel bug. "Grow up, find a good job, get married, buy a house, fill it with stuff, have kids. That's what life is all about!" We had all of that. For a time, we REALLY wanted to be like the Joneses. Then we decided that the house full of stuff, two new Euro-imports in the garage and our full-time jobs that we needed to afford all the stuff were not worth it. And I guess our story really began there. We've grown to look at frugality in a completely different light. This is not austerity. It gives us the flexibility to decide how we want to live our lives. It gives us options to work part time, spend more time with our kids and travel for 2-3 months every year. It isn't easy. We struggle with the burning WANT (and keeping up with the Joneses) but we always come back around to the fact that those material wants do not get us to our life goals. We have what we need to be happy and comfortable. We want to spend our money and time elsewhere. No, I DON'T want to go shopping. I won't buy a new pair of jeans, because I already have one and I really don't need another (at least not until my current pair of jeans wear out.) How about coming over to our little house for a great cup of coffee and conversation instead?? ...and what you want to read here. Do you like our health posts, lifestyle/minimalism topics, foreign residency and citizenship? Do you want to see recipes, kids stuff, our adventures, or something else entirely? Lay it all down here so we can move forward in the direction that best serves you, our reader. Take about 2 minutes to review the 20 little topics listed below. You tell us how much you want to see more of each. We want to know about you and your interest in our blog. Please answer IF YOU WOULD LIKE TO SEE MORE of each post topic on the spectrum of Strongly Disagree to Strongly Agree. Thanks for you help in making Healthy Family Abroad even better. Thanks for the input, you lovely person, you! Thanks again for your help! If you would like to see more (or less) of a topic not listed here, please leave a comment below. FOR THE LAST TWO MONTHS, WE'VE BEEN LIVING IN A SMALL (BUT NOT TINY) HOUSE. 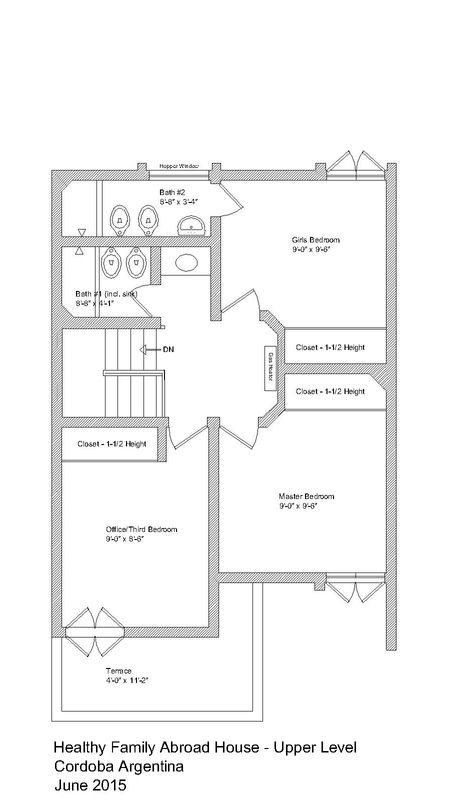 It's a duplex and measures about 800 sq. ft, not including the garage. This has led to many hours of evaluation and re-evaluation: about our possessions, about what our family of 4 truly needs to be happy, our future goals and what factors have contributed to our being able to live this way. We're not terribly organized. This is NOT a contemporary DWELL magazine-worthy space and we still have too much stuff lying around. This house isn't perfect, but it HAS exceeded our expectations in many ways. While we have lived in houses that push the 2500 sq. ft. mark, this small house is more comfortable, more cozy, more HOME for us. We find that we are actually more calm here, even with the close quarters. We don't have to yell to get someone's attention across the house, yet there are spaces where we can escape if we are feeling too much togetherness. This IS a live-work space with the adults in the home almost all the time. Add the littlest one for lunch and every afternoon, and the oldest kid here the rest of the time. We spend a lot of time in the house, together. This house fits perfectly with our thrifty, minimalist goals: Less stuff, less expense, less time working, more time together, more time traveling. There are some lifestyle factors that we feel make it easier to live in a small home, many of which are influenced heavily by living in Argentina. No microwave (although one could be installed above the range). No dishwasher. I know, I hate washing dishes too, but it's easier to keep up when we have few dishes to get dirty. Few pots/pans I currently have 4 but we use 3. One more thing to give away! No counter coffee pot. We use an AeroPress Coffee Maker. It is absolutely worth the time and becomes a great morning routine. It was perfect for our 38-day road trip around Argentina last year and we bring it everywhere we travel, along with a travel mug and thermos for hot water. No clothes dryer. The washing machine is in kitchen. We have a portable drying rack that can sit at the end of the kitchen or outside on the patio. No furnace. We have two natural gas wall heaters to warm the chilly winter mornings. Nothing more is needed. Outside storage is available for bikes, brooms, etc. Even a few extra boxes are sitting in the carport with no fear of freezing temps. Note to self: Get the boxes cleared out! Local, fresh food. No bulk storage needed for refrigerated and/or pantry items. We shop the local, neighborhood stores every few days to get the essentials, with a trip to a larger grocery store every few weeks. Few lights. Small space + lots of natural light = not many lightbulbs needed. We have installed half LED and half CFL for the lights we do use. Walk-out outdoor spaces and the back patio has a "galleria" with a mesh cover to filter the light. We leave the back door open all the time, and with no screen door and a straight-walk out to the patio, it's a great transitional space. Built-in outdoor grill. 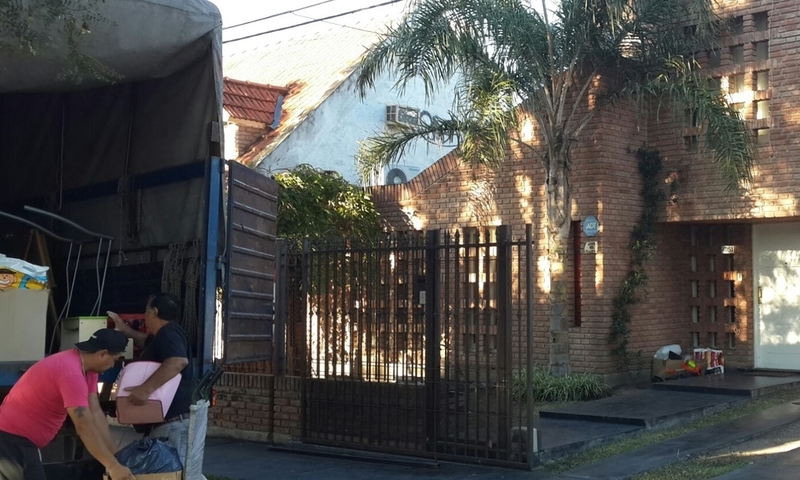 A parrilla is standard in Argentine houses...and large garden/yard available for entertaining. We're across the street from a large park. Great natural light in all rooms (the only exception is the powder room). Both upstairs bathrooms and the center hall have clerestory windows. Substantial masonry construction. This is a very solid house. On-demand water heater hidden inside a kitchen cabinet. Never-ending hot water is amazing. Who needs a 50 gallon tank in a small home? A "giant" albatross. Two gas wall-heaters provide more than enough heat for the entire house. All tile floors in the main living areas, bathrooms, stairs, garage and back patio. Easy maintenance and they get toasty warm by the heaters. Operable shutters on all main floor and bedroom windows. The bedrooms can become pleasantly cave-like, night or day. Vaulted ceiling heights in bedrooms provide for extra tall closet storage and create a much more spacious feel in the small bedrooms. Widen the house by 2-4' to accommodate easier entrance into house if a car is in the garage (you enter through a gate into the garage, then enter the house). This would also create better head height in the stairwell.. we have to duck ever so slightly. But, hey, we're tall. In colder climates, the house would need additional heating supply, possibly a utility room and mudroom and/or entry storage for cold-weather gear. If the house is built free-standing (not a duplex with walls on either side, as it is currently), additional windows could be added on the side walls, as well as bump-outs for stairwell and/or dining room. Remove the utility sink from the kitchen because hey, counter space is at a premium and add a prep/utility sink to the side of the parrilla area outside for the grand asados we would surely have on the back patio. Merge the two upstairs bathrooms into one larger bathroom. 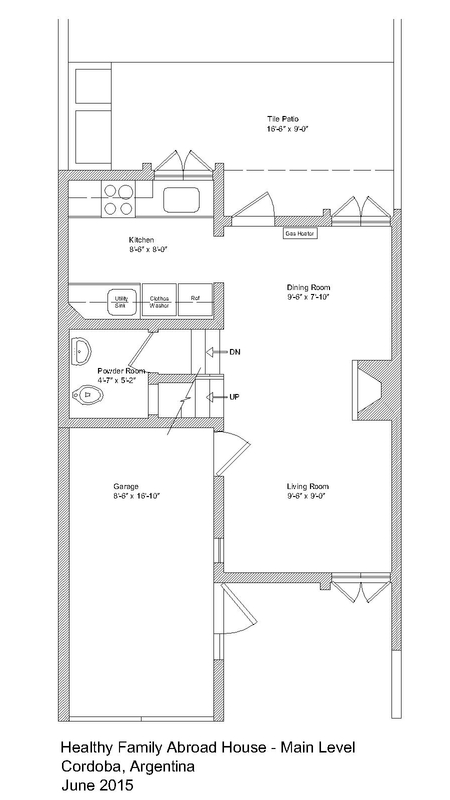 Both are on the small end of comfortable and I wouldn't recommend more square footage, unless you absolutely needed a larger kitchen as well (which is directly below). At the very minimum, take out the bidets in the upstairs bathrooms. For us, it is not a cultural norm and they take up a huge amount of real estate in those tiny bathrooms. Change the wood-burning fireplace in main level to gas insert or more efficient heating stove for an auxiliary heat source. WE FEEL CONFIDENT THAT WE COULD LIVE (AND WORK) AS A FAMILY OF 4 IN A HOUSE THAT IS 1000 SF OR SMALLER NO MATTER WHERE WE ARE. I really love that after years of designing for size and luxury, I'm now designing for efficiency and extreme usability. "Mindful, minimal and efficient" is our personal goal and this little house fits right in. **If you like this post, please share it or "Like" it using the buttons below, follow us on Facebook or leave us a comment! Just over one week ago, we left the house where we have spent the last 4 years in Cordoba. A lot of living had been done in that house and it was an emotional goodbye. 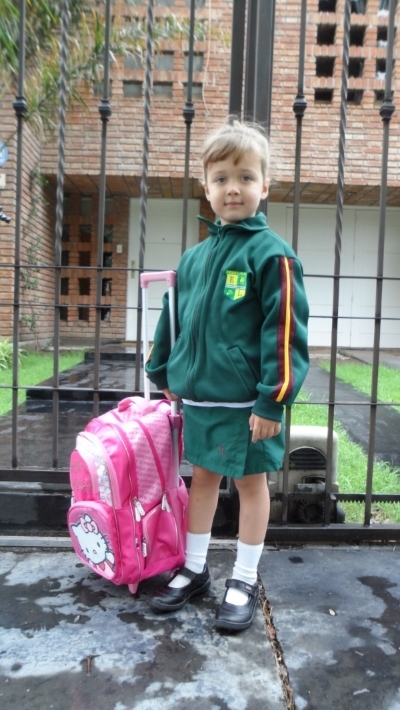 When we moved to Cordoba in early 2011, we had just spent 5 months in Bariloche, Argentina. We left our two dogs there and had driven with our eldest daughter from Bariloche, across the Andes mountains to Puerto Montt, Chile and north through Chile to Santiago. Cordoba, Argentina was to be our sight-unseen home. A few nights in a hotel and a temporary rental in downtown Cordoba led us to an exploratory drive where we stumbled upon the house and neighborhood where we've spent the last 4 years. That house, while not perfect, was partially furnished and in a great neighborhood. We moved in when daughter #1 was just over 3 years old and our two Pugs joined us soon after their extended vacation in Bariloche. We were a whole different family unit when we moved in. Parents, one child and two dogs. Now, after the birth of Daughter #2 IN that house (who is now the age of daughter #1 upon move in) and the deaths of both dogs in that house, we are a completely different family upon moving out. So... After strained contract negotiations with the owner of that house, we knew that this was an opportunity to change. We opted to stay in the neighborhood, took a referral and found a great little house that I will call the "casita" just across the plaza from our "old" one. In fact, even our street name is the same, just the number has changed. At first glance, it looks like we are crazy. We went from a large, furnished 3 bedroom/3 bath home with a pool and garage (and much more space than we needed) to a very cozy 3 bedroom/3 bath that needs work and furniture. Bedrooms/baths aside, the casita about 1/3 the living space of our previous home but honestly, we love it. Maybe we thrive on change and things had gotten a bit stale after 4 years at the other house. Maybe we are looking for adventure. Maybe both. The excess is being sloughed away and the essentials are coming to light. This is a test for the type of small living that we have always wanted and will seek out in the future, whether that is in the USA, Europe or elsewhere. We are convinced that our family does not need 2000+ SF to live in. The casita has about 300 SF on the main floor and I am estimating about 500 SF on the upper level (which extends over the carport). It is efficient. Every inch counts and there is thankfully no more yelling across the house to get someone to hear you. We had rooms in the last house that were never used. For us, it wasn't worth the cost to rent and maintain when something smaller is much more fulfilling. We will miss that big house and swimming pool and will always reminisce about the good times and the changes that happened within those walls. Goodbye big house, you were excessive but we loved you nonetheless. Now we look forward to streamlining our lives even further and saving a ton of money in the process. Onward and upward!! Ugh. Changing blog formats is never simple. The look, the layout, re-categorization of 6 years worth of posts. Here's the deal: We've changed the blog format to include three branches of information: Health, Family and living/moving working abroad information (thus our new name of HealthyFamilyAbroad!!) See the three tabs up above. You'll be seeing a new blog design coming soon, utilizing these new categories to more easily search posts by interest. There will be overlaps as many subjects can fit into more than one category. Thanks for all your interest. We are very excited to roll out the new blog format and focus! Remember to comment on our posts and like us on Facebook! Christmas is upon us. I've been feeling it for a few weeks already. This year, our Thanksgiving was filled with friends and activities. Three feasts to be exact. It was lovely (and filling) but the signpost on the calendar of tough times to come. I can't say it's all bad because during this time is my daughter's birthday, but that one big day was coming up. The elephant in the room that I don't want to face. Christmas. Living abroad is not all piña coladas on the beach (in fact, there is no beach here. We're in the fly-over country of Argentina). There are real struggles. With language, with culture, with homesickness. I wrote about my personal struggles during the holidays last year as well. Homesickness is the very worst for me during this time of year. While I love the summer, summer produce, the pool and lazy vacation days, I do NOT like celebrating Christmas when it is hot. It feels wrong on so many levels. I struggle to create traditions for my daughters when it is an atmosphere so different than how both my husband and I grew up. Lots of people struggle during the holidays, whether it is from missing the ones you love because of physical or emotional distance, or because of death, divorce or other family struggles. The holidays are hard. What we can do is try to be gentle with ourselves during this difficult time and find ways to treat ourselves kindly. Know your triggers. Mine are certain Christmas songs and Skype calls. I can't get through them without crying. My best advice is to avoid them when you can (I hear the first notes of "I'll be Home for Christmas" and I skip to the next song) or keep Skype calls brief and on subjects other than missing home. Not saying there won't be tears, but the might be kept to a minimum. Get away when you can. Know when you need a break and take it. Go for a walk, journal in private, lock yourself in your room for a bit if needed. 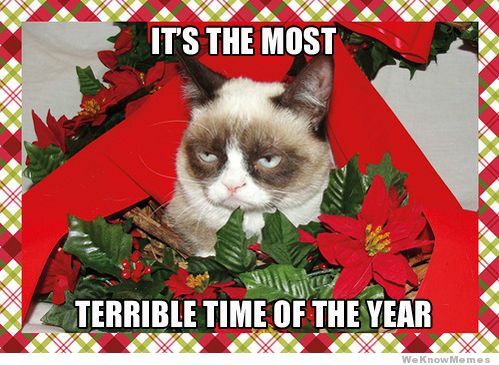 Sensory overload and overwhelm is common during the holidays. Sneak away and take some time to re-center. Avoid foods/drinks that can make you feel worse. Foods have a huge emotional impact and when you are already feeling vulnerable, that extra piece of pie or glass of wine will not make you feel better. Keep with a clean diet, drink a ton of water and keep caffeine and alcohol to a minimum. Prepare for the stressful times. Treat yourself to a bath, a massage, practice yoga or meditation, exercise or whatever works for you. Settle your mind in any way that you can before the times that are going to be the hardest for you. Open up about your struggles. Talk to those you love and trust. Be honest that this time is difficult. They can help be the shoulder you cry on, or the one you sneak away with to take that walk (see #2). Once you share, you might just find that others are struggling, too. *If you are experiencing depression (more than holiday blues) please seek professional help ASAP. Talk to your doctor or other trusted person who can help you get the assistance you need. I struggled with depression for years. Medication and light therapy helped substantially but I know the darkness of undiagnosed depression and how difficult that first step can be. You can do it. Wishing you HAPPY HOLIDAYS and a WONDERFUL 2015 TO COME!!! 38 days away from home. 6100 km (3800 miles) driven. One car. Two adults & two little girls. A circle around the center of Argentina. Day 1, Pilar: On January 24th, we left on a spectacular road trip that would circle us around the midsection of Argentina. In a tour like nothing we've ever done before (okay, there was the Chilean road trip 3 years ago, but given the geography of Chile, that was one way and not a ROUND trip. We were moving from Bariloche to Cordoba via Chile, but I digress.) Starting on January 24th, 2014, we had our car all packed and drove 6.5 hours, through Rosario, to get to our friends house in Pilar, just northwest of Buenos Aires. We stayed there, met his pet pig named Peppa (a pet at that time, which since has been made into dinner) and had a lovely tour of Pilar, along with ice cream and sushi. Days 2-4, Mar Chiquita: Heading out the next day, we drove south along the coast to Mar Chiquita, a sleepy coastal village just north of Mar del Plata. We stayed a gorgeous three nights with Brad's cousin, her Argentine husband and their daughter. They split time between the Northeast USA and coastal Argentina. Their daughter is 1-1/2 years older than our oldest daughter and they were fast friends. We loved the freedom that a constant playmate afforded us. Aaaah.... The food here was incredible. The lifestyle here was even better. I could really get used to living as a beach bum! On our way out of town, we swung through Mar del Plata. Crazy. I do not want to EVER stay there during high season. Wow. We had driven through a few days earlier to see the sea lions and knew what we were getting ourselves into. A quick stop at a street market to pick up a very special loaf of bread and other random snacks that were recommended to us and we were off! Again. Day 5-6, Bahia Blanca: Heading south further. Very hot. Saw the movie Frozen with our older daughter here. Franca, the toddler, fell in the park and scraped her nose. Now she has a perfect stripe up her face and looks a little chipmunk-esque. We stayed at the Hotel Argos, and were lucky enough to get an updated king corner suite. It was really lovely and since the girls are small, we all curled up in one king-sized bed together. :) We won't be able to do that for too much longer! Days 7-9, Las Grutas: After a meandering drive southwest, we made an unplanned detour to Las Grutas. We rented a great apartment on the beach. Again, we drove up to see it, ran back to the car to tell Brad and the girls, then ran back to reserve it. Not many vacancies during high season! We had some gasoline drama here- the only gas station in town was empty and waiting for a tanker truck to fill up- and had been for days. We didn't have enough gas to get back to the next bigger city. Luckily we didn't have to drive anywhere for a few days and could have always taken a taxi 12 km to get a can of gasoline if needed. On our last planned day there, the station got a fill-up and so did we. The beach was beautiful with "pools" cut out of the stone that you could access during low tide. It was a great sandy beach with high cliffs leading to the town up above. On the very end of town there was even a water slide (Geneva thoroughly enjoyed this) and cabañas and carpas (tents) along the length of beach that you can rent to stay out of the sun. Day 10, Neuquen: A quick stop for the night, then taking off the next morning. We stayed at Casino Magic Hotel for a bit of luxury. This is the only place we stayed at for only one night- but also the only place we stayed at twice (once down and once on our way back). Since it was such a quick stop, we ate at the hotel restaurant where we were one of three families there when it opened at 8:30 PM. Beautiful rooms, pool and public spaces. The restaurant was good, but not exceptional. Days 11-12, Junin de los Andes: Snore.... Hotel was blech but grounds were amazing. We booked it that morning, just hours before we arrived, so beggars can't be choosers, right? Unfortunately the weather was freezing cold and very windy. We had to buy more clothes for Daughter #1 to keep warm!! This was our jumping off point to see the spectacular Volcán Lanín outside of town. Days 13-17, San Martin de los Andes: Oh, what a beautiful little town! Shopping was crazy expensive and there were a ton of people blanketing the town but we still enjoyed it. We drove into town and straight to the tourism office to try to find a place to stay. After a few doozies, we found an apartment that was cute and adequate for a 5 night stay. Mexican food at Viva Zapata was unbelievable. We hiked to the lookout above town and then drove some trecherous gravel cliffs to other lookout. LOOOOOOng drive to volcano. Freezing still but I purchased 2 meters of fleece to wrap Franca. We also drive to Chapelco Mountain/Ski Resort where Brad and Geneva went down the alpine slide and later Geneva climbed the lakeside rock wall. San Martin was great little town that I definitely want to visit again! Almost took a wrong turn to Chile on the way to Villa la Angostura. Stopped at an overlook and asked a tour bus driver. Turn around!!! Days 18-19, Villa La Angostura: When we arrived, we had some time before check-in, so we stopped for a really beautiful lunch and I cried. I cried over my lamb because it was so good and our lives are so amazing!!! Geneva was asking about our engagement over dinner and wanted daddy to propose to me again, so we got re-engaged over dinner. Geneva lost a tooth the next night at dinner. I Bought an overpriced but beautiful Columbia jacket for myself. It was an eventful few days! We spent 2 nights, two different rooms in a great hotel but with a terribly bumpy and rutted dirt access road. Days 20-24, Bariloche 1: We found a little Apart-Hotel off of Av. de los Pioneros, close to downtown. This was a very different perspective from being so close to Llao Llao when we were previously living in Bariloche from Sept 2010-Feb 2011. The apartment was old and not the prettiest, but for a walk-up (no reservation again), we couldn't be too picky. Days 25-34, Bariloche 2: We are HOME- well, our old home!!! Back to the same house where we lived for 5 months in 2010- 2011. Geneva had her 3rd birthday in this house, we celebrated Christmas, Brad's birthday and we also decided here that we wanted another baby once we settled in Cordoba. Needless to say, this house is very significant to us, even if we were only here for 5 months. We had nine days here again this time and it was paradise. There were some great updates to the place and we wanted to soak up every second of it. We also buried our dog's ashes in the beautiful yard. He loved the yard so much and Pablo, along with our other dog, Paloma, stayed in Bariloche for an additional 3 months (from Feb 2011- to May) while we were getting settled in Cordoba before they joined us via plane. We are all happy that he is there forever now. Cue the tears. Alas, all good things must come to an end. We leave and head north to Neuquen once again. It is a spectacular drive north out of the city. Days 35-36, Neuquen- a second time: The only city where we stopped twice. We even stayed at the same hotel. 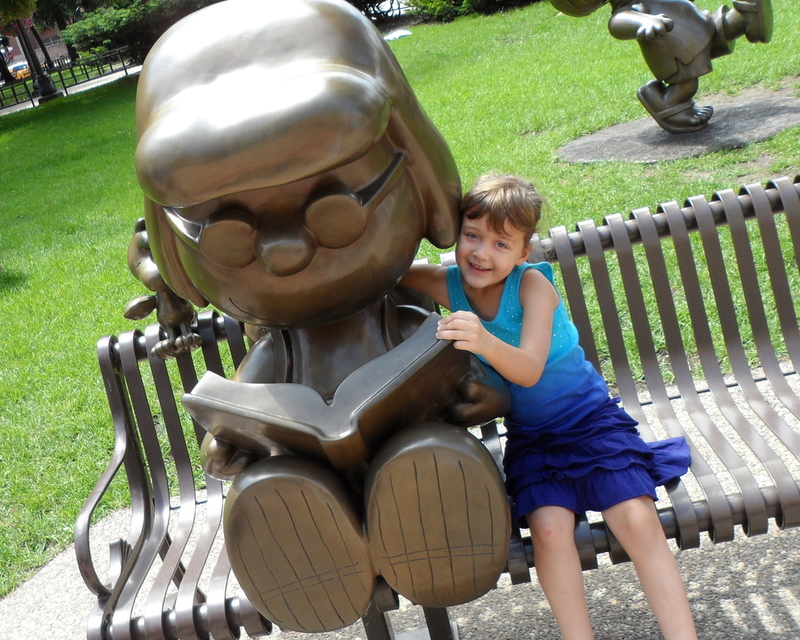 Head to the Museum, check out downtown. Day 37, Villa Mercedes: After discovering that we had an incredibly smooth, straight, beautiful hiway drive, we drove like the wind and kept on for 8 hours until we got to Villa Mercedes. Booked the hotel at a gas station/lunch stop with Wifi along the way. Day 38, Cordoba!!! Home! We completed the incredible circuit, heading east from Cordoba to the coast of Argentina, down along the coast and across to the west, then straight up the middle of the country back home again. The girls were wonderful- with the worst of the driving days being the first (getting accustomed to it) and the last (great anticipation of home). Never tell your 6 year old when you will be getting home. Just show up. We spent several hours driving from Villa Mercedes with Ms.-Super-Crabby-Pants in the back seat. Pulling out the infamous "Are we there yet??" every few minutes. Never. Again. No matter how much you pack, you are packing too much. We had one duffel bag of clothes shared between all of us and it was too much. I would cut the clothes drastically next time. We were traveling between climates (hot and beach for our first 4 stops, then super chilly for 2 stops, moderate temps for the rest) so I packed for everything, or so I thought. We all had clothes we didn't use and Daughter #1 needed two warmer pieces that we purchased along the way. Plan surprises along the way for the kids. Little toys packed, activity books, unexpected stops- even if just to a beautiful lookout. It is worth it. Reflecting on the trip, I can't believe that we all survived 38 days of family togetherness in a sedan! Our two daughters, ages 6 and 1-1/2 years old, both in car seats. One driver throughout (thank you, Hon, for the safe journey!) What an incredible adventure!! Hey All!! It is comforting to know that you are all concerned if we disappear for a while. Thank you for your notes! We are still around- albeit traveling for a while. We'll be getting back to our daily grind at the end of July. Yes, it's been wonderful. Yes, we have some stories to tell. I'll be posting a few short items in the coming days. One was an interview that we did earlier this month for an amazing online community- http://movingabroadwithchildren.com. If you really want to dig for our interview, go ahead. They have some great content and I love this expat video series they are doing (I am happy to say we were the first!) If you don't want to peruse the site looking for our interview, stay tuned for the direct link coming up. I have to keep you in suspense, right? More to come soon. Chau! Last week, after returning home from some grocery shopping in our neighborhood, our 5-year-old steps into the house and declares, "I'm bored with this city." Amused, I promptly put it on Facebook and two out of the first three responses were "Where did she hear that?" or something similar. That wasn't what I expected. She is a kid that has always been on the move but we've never said that we're bored with a city. NEVER. That is something out of her own head. In my opinion, it does show that she is comfortable moving around and wants to explore this great world of ours. While in Minnesota, we lived in the same house for 7 years and sold it when I was 6 months pregnant with dear daughter #1; the same daughter with the charming quote above. That got me thinking how much we have traveled and what we have all seen in her 5-1/2 years (4 of which have been in South America). We lived in a few places in Minnesota leading up to our move, then in Montevideo for 18 months, Bariloche for 5 months and now Córdoba, Argentina for just over 2 years (where our second daughter was born in 2012). We have seen many other places in Uruguay, Argentina and Chile, all without a car of our own. We've rented cars, traveled with friends, hired a driver once (okay, twice) and taken a variety of planes, buses, boats and trains. Colonia, Piriapolis, Punta del Este, Punta del Diablo, Cabo Polonio, La Paloma, Minas, Salta and through many more cities on the way. Buenos Aires, Rosario, Mendoza, Bariloche, El Bolsón, Villa la Angostura, Concordia, Iguazu, Villa Carlos Paz, Villa General Belgrano, Cosquín, Capilla del Monte and others. Puerto Montt, Chiloé Island including Ancud and Castro, Osorno, Villarrica, Pucón, Puerto Varas, Santiago, Valparaiso, Viña del Mar and others. This also included two over-land crossings of the Andes mountains: One from Bariloche, Argentina to Puerto Montt, Chile by car and another time from Mendoza, Argentina, to Santiago, Chile by bus. I can't forget the three trips to/from the United States since we've been living in South America. We are pretty well traveled with our kids. We like adventure (it was even in our wedding vows, "Through Adventure and Adversity") and we encourage a love of adventure and adaptability in our daughters. We're not planning another move anytime soon, but we DO have some interesting travel plans we're considering. As you may have guessed, we're also not the type to travel WITHOUT our kids. We'll see where our next big adventure takes us - as a family. 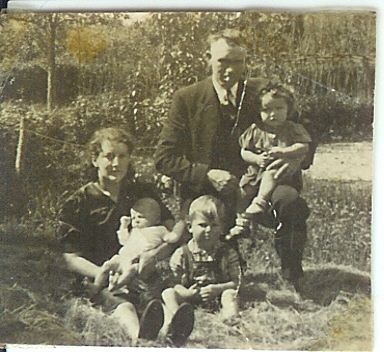 My Grandparents immigrated to the United States from the Netherlands in 1955 with their 8 children. My mother was 2nd born, the oldest girl and at age 12 (almost 13), had a good perspective on the journey to the USA and the transition to life in the midwest. 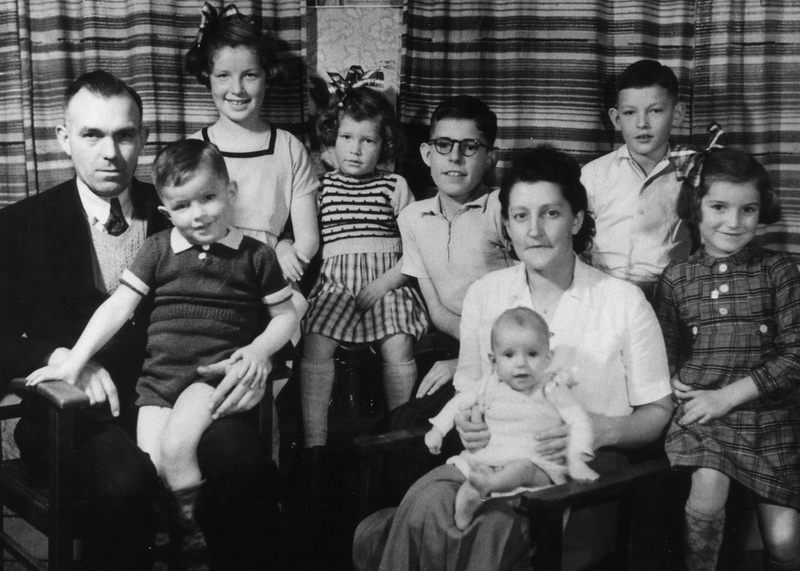 Throughout our time in South America, I've often thought of my family's journey in 1955 and what I would ask my Grandparents if they were still with us. My Mom has been a great resource for answers to some of my questions, but the perspective of an immigrant child versus that of an adult can be strikingly different. What were their goals (for their family, themselves and their children)? How long it took them to really feel at home in the USA? When did they start speaking English at home instead of Dutch? What would their alternate future in the Netherlands have been? Did the USA meet their expectations? What were those early years like for my Grandmother in particular (In the rural Midwest, with young kids in an old farmhouse)? What would they have done differently, if anything? What were the strangest things to them in the USA (food, customs, English phrases, etc)? What is their perspective on our move to South America and our abilities to live/work virtually anywhere? Our experiences, while similar in some regards, are very different given the 50+ years that have passed. Theirs was a permanent move where we have much more flexibility. They left the Netherlands not knowing if they would ever see loved ones again, where we have had 3 trips back in the 3.5 years we've been in South America. My Grandmother went to the mailbox every day hoping for a letter from home. We have frequent Skype calls with family and can share photos and video easily online. In fact, I just called my parents via Skype and asked my Mom if she would email some photos for this post. She has been wonderful recounting the experiences of her family as she remembers but I wish my Grandparents were still alive. We now have the flexibility and options that come with a technological world. It has never been easier to move to a different country. In fact, we have friends all over the world that are in near-constant motion (as singles, couples and families). After a few years, it is time to move on or move back 'home', only to move again shortly thereafter. Is this the start of a nomadic generation, all thanks to technology? On the days that are hard, when the cultural differences seem too great or the distance just too far, I have to remember my family history and the strength of my Grandparents and all of the other immigrants around the world. Today we have it easy. We have the world at our doorstep. We are thankful for those who have made the tougher journeys before us. What are we doing in Argentina and how long will we stay? This past June/July, we spent 6 weeks in the USA, visiting family and friends, renting a house in an area that we'd consider moving back to someday. All of this with the hope of catching up with people and trying to figure out what our plan will be for the future. We really enjoyed our time visiting the USA and loved the walkable neighborhood where we were staying. (I nearly had a heart attack when I walked into a Super Target for the first time- not knowing where to start... but I digress.) While we were there, I was more and more sure that we were going to be coming back to that very place sooner rather than later and even started throwing around a "1 year plan" that we'd be back in the USA within about year- to live. That lasted about as long as it took to get back to Argentina. Our lifestyle in Córdoba is just so hard to leave. Within days of returning to Córdoba, Argentina, we were not so positive of what seemed like a near sure thing just a few days earlier. Upon return, our house was freezing cold (Cordoba had a really cold spell in the days before and in an un-insulated, masonry house with the heat turned off, it was COLD) which was not unexpected because it was the middle of winter. We bundled up for a few days and got settled back into our routine. We wake up at 8 AM every morning, walk daughter #1 to school, and on most days, return to have a leisurely coffee together and catch up on the day's to do list. It is a really comfortable lifestyle. Our friends and neighbors checked in on our house while we were gone with no problems and everyone was happy to see us back. Sure, we don't have some of the material things here that we might want but that is okay. We are comfortable with what we have and that makes it really hard to plan a departure. Cost of living and healthcare here are excellent, too....the only REALLY hard part is distance from family in the USA. Frequent Skype calls help, as do 6-8 week visits every summer. The Saturday after our return to Córdoba, we took the bus 2 hours across the Sierra mountains to a friend's birthday party in Capilla del Monte. That town is just magical in it's own right, but at several moments during that afternoon, I looked around and marveled at the beauty of it all and how so many of the people surrounding us had the same questions and similar paths to ours. At the Cordoba Airport. We're leaving for vacation!!!! After that initial cold snap, the weather warmed for a few beautiful weeks where we had temperatures in the 70s (with some 80s and 50's mixed in to even things out). And this is the middle of WINTER!! We've recently met new friends from the USA who moved to our neighborhood and seeing the excitement and adventure in them as they start a new chapter in their lives is invigorating - even for those of us experiencing it second hand. Their wonder at the novelty of it all makes us remember those small things that we have grown accustomed to over the past 2.5 years in Córdoba. For example, all the kissing. People kiss hello and goodbye on the right cheek here. EVERYONE does this. Teachers at school kiss every kid hello and goodbye. Everyday. If this is not a part of your cultural heritage, it can be overwhelming. We now love it and it brings a sense of community and closeness that cannot be achieved with a handshake or a simple hello. Locals have large social networks here and so much of life here is about who you know, or who your friends know. We have connections here for just about everything- and are loyal to those connections. We have people to recommend if you are looking for a house, a car, appliance repair, yard work, pool maintenance, water service. That being said, we are not as integrated here with the Cordobeses as we would like to be. We are both in Spanish classes again after a looooong hiatus and it feels good to have structured lessons again (Escuela de Español CELEC). Our "baby" F is now 17 month old and we just started her in a local jardin de infantes, which is a mix between daycare and preschool. She is there for 3 hours/day and it is her primary spanish exposure, which is how started her older sister in Spanish at Caminito in Montevideo, Uruguay. More social exposure in Spanish will help us all get the most out of our experience in South America. I can't believe our original 1-2 year plan from when we came to South America in March 2008 has extended into 4.5 years. I keep thinking that I'll wake up one day and be done with it all. So far, those thoughts have been fleeting and the desire to continue here in Argentina..... continues. A nice little video about Uruguay. Some embelishment, but on the whole--a very nice representation of the place we've called home for 18 months. Uruguay has been our home for the past 16 months and we love it. Through the ups and downs of adjusting to life in a different culture, we have been truly fortunate to find ourselves in such a place. We are ready for a new adventure, most likely temporary but we don't know. All signs are pointing us toward San Carlos de Bariloche, Argentina. We plan to be there for the low season of October through December. If you don't know Bariloche, it is a very different type of place from Montevideo. Located in the mountainous area of northern Patagonia, spring is the low season there with skiing being the main draw in winter and hiking/water sports in the summer. Since we have never lived in the mountains but would like to, this area really appeals to us. There are other towns nearby such as San Martín de los Andes and El Bolsón that we plan to explore and the variety of outdoor activities in this mountain/lakes region is incredible. One challenge with our plan is how to live in a more rural area without a car. The Bariloche area has a great bus system that runs a loop from downtown to the main roads, with other buses running long distances from Bariloche. While we explored living within the city proper, we were told in no uncertain terms that while the city has all the modern conveniences, the city is not why people come to live in Bariloche. Now we are researching temporary rentals on the main bus loop or within a decent walking distance to the city center. Our flight is booked for September 25th, our current landlord is notified of our lease termination and we are starting the purging process all over again. There is no turning back now! Our list of things to sell will be coming shortly. It is amazing how much you can acquire even when you live in a furnished rental and never really purchased much. Alas, we have plenty of housewares, toys, clothes, books and cloth diaper supplies that we will be selling. The plan is to come back to Montevideo during/after high season 2011 but we don't want to store all our extra stuff, so away it goes. Wish us luck! This extended vacation will hopefully be just the thing we're looking for. New things to learn and explore within a beautiful, restorative environment. You can't forget the great German architecture, handmade chocolates and artisan beers produced in the Bariloche region! Sounds like my kind of place!! We arrived in Montevideo on March 26, 2009. What a year!! We've had the opportunity to explore so many corners of this great city. We've learned more Spanish and met lots of wonderful people- both Uruguayos and extranjeros. As many Uruguayos don't seem to understand, we like it here. We have chosen to come here. It was not a mandated move due to work or education, we chose Uruguay as our home and we really love this little country. We've grown as a family over this past year and while we don't have a baby on our hands anymore, she has grown into a very capable toddler. We still adore Jardín Caminito, our daycare, and how loving and supportive they have been for us. The lease in our current house has been extended for another few months (was set to expire on April 20th). So it is another winter in our cute but drafty home! This time we won't be so thrifty (jaja!) and we'll be using our grocery store loyalty points to get a space heater. This is a supplement the fireplace and bedroom electric units. Come spring, who knows what we will do. It'll be a perfect time to travel a bit without the expense of an empty house. Maybe an extended stay travel with 3-6 months somewhere? Maybe Bariloche, Argentina? The world is our oyster and we are going to treasure every moment here!! Artwork by Uruguayo Joaquin Torres-Garcia; Upside Down Map (1943). Uruguay is located at the coordinates, near the top line. We are planning to take a series of short road trips- just a long weekend each time to explore more of this great country. Having been to Colonia, Piriápolis and Punta del Este already, we're looking towards the eastern coast before it gets cold and the interior with possible trips to the hot springs and a wine tour in the fall. We wanted to pose the question to our readers: Where should we go for a short exploration trip this month?? Where To Go For a Weekend Getaway?